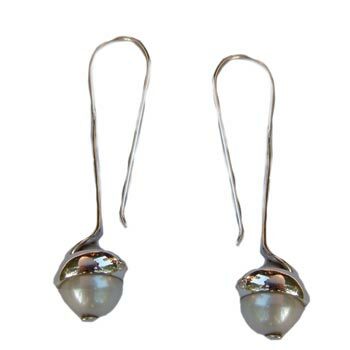 Sterling silver pearl earrings represent inner (and outer) beauty. 4.5 cm, 6.5 g Sterling silver. Made in India. Eternal Knots Anklets Ornate but light weight anklet with eternal knots. 25 cm, 5 g. The knot symbolizes infinite eternity. No beginning and no end, representing all the pholosphies of the universe.